Manius Fonteius C.f was one of the moneyers for the year 85 BC. Gens Fonteia was a plebeian family at Rome. Members of this gens are first mentioned toward the end of the third century. In his oration, Pro Fonteio, Cicero mentions that the Fonteii came originally from Tusculum, of which municipium it was one of the most distinguished families. The Fonteii claimed descent from Fontus, the son of Janus. Obverse: Laureate head of Vejovis (or Apollo) right; MN•FONTEI behind; ROMA monogram below chin; thunderbolt below neck. 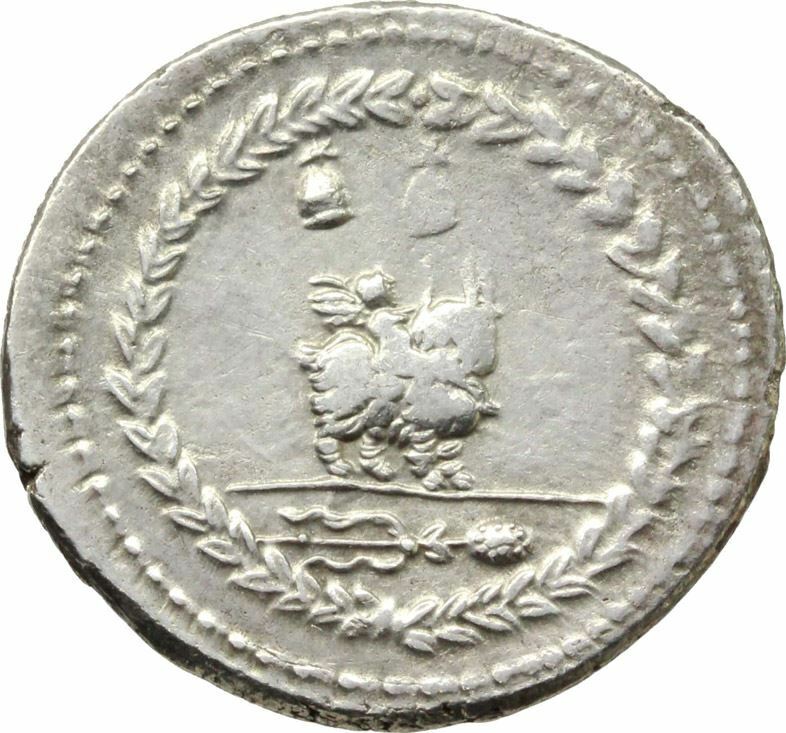 Reverse: Infant winged Genius (or Cupid) seated on goat standing right; pilei of the Dioscuri above; thyrsus with fillet in exergue; all within laurel wreath.